I have finally caved and began medication for my fibromyalgia.. nortriptylin 25mg. Boy.. the first week was tough. 8 1/2 years after my diagnosis I am finally getting treated for my Fibromyalgia. As a sufferer I can tell you how insidious this syndrome can be first hand. Over the years I’ve become used to the fatigue and all over pains and accepted it as this is now my life. Until I became so overwhelmed at the end of 2011 with anxiaety and depression due to a lot of life changes. I was paralyzed with fear, anxiety attacks and pain. Even all the aches and pains intensified the more stress the more pain.. I was immobilized. I found myself continually crying over a drop of a hat. Along with that came lower backside pains (which I am very concerned about), pains radiating from my ovary area. Finally, I couldn’t take it any more, time to make an appointment. As with any medicine, there are possible side effects with nortriptyline hydrochloride (Pamelor®). However, not everyone who takes nortriptyline will experience side effects. In fact, most people tolerate the medication well. 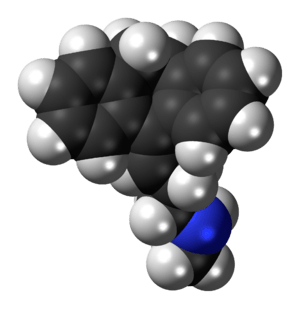 When people do develop nortriptyline side effects, often they are minor, meaning they need no treatment or are easily treated by you or your healthcare provider. 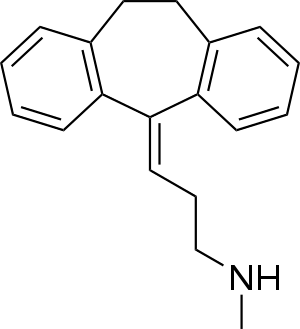 Nortriptyline has been studied thoroughly in clinical trials in which the side effects of a group of people taking the drug are documented and compared to another group not taking the medicine. Withdrawal side effects have been reported in people who have stopped taking nortriptyline suddenly. These side effects of nortriptyline withdrawal include nausea, headaches, and a general ill feeling (seePamelor Withdrawal). right agency, please read the Guide to Reporting Problems to FDA. Previous Previous post: Fibromyalgia Guilt..